This issue spends sixteen pages — sixteen! — on a dragged-out, boring fight between Miles, Peter, and Norman Osborn. Detective Maria Hill is there, too: actually, Hill is the artistic highlight of this issue. David Marquez and Justin Ponsor do face complexions and lifelike hair particularly well, especially Hill’s first panel where she stands over Osborn with a gun pointed at him, and when she’s on the ground and shoots rapid-fire. The detail of the light emitted from her gun’s chamber in the latter panel looks great. However, all of this capable art doesn’t change the fact that the fight between our Spideys and Osborn is bogged down by too much dialogue. 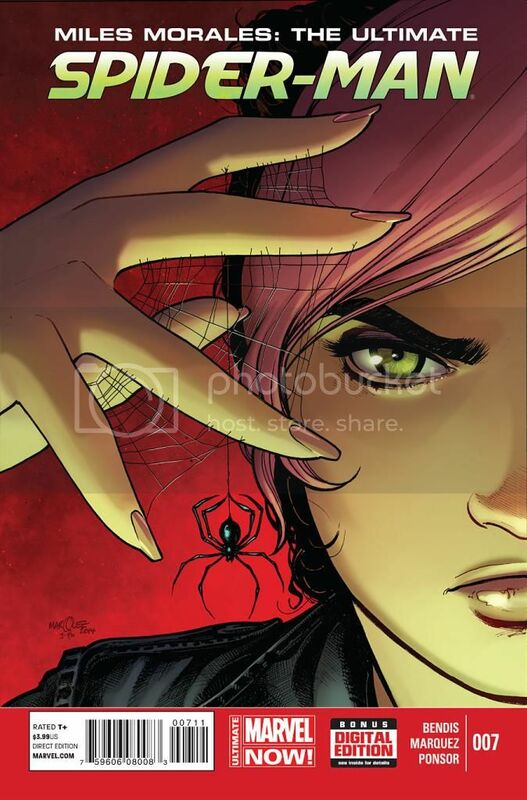 Brian Michael Bendis seems to want this issue to be a milestone issue with Osborn appearing to die and secrets revealed, but the fight feels neither climactic nor fun to read. Katie Bishop is featured on the cover and was given primary focus in this issue’s solicitation, but she receives exactly one page. Her expressions and hair are impressively drawn by Marquez; Ponsor does some careful color work with the way the light from an open door hits this scene. 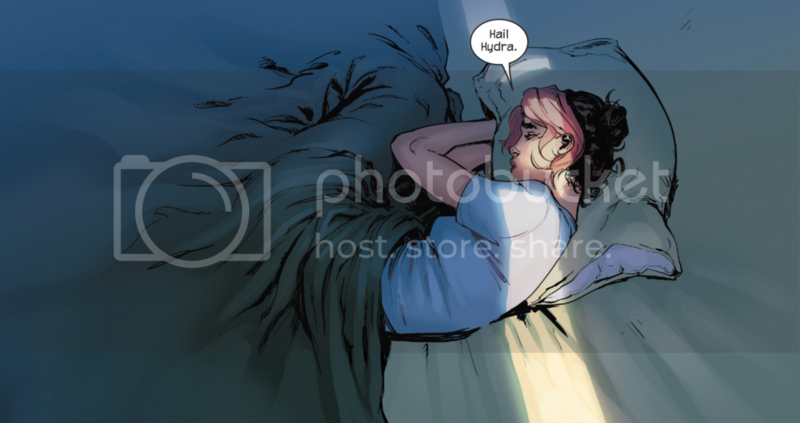 Bendis’ bait-and-switch robs Katie of her narrative agency: she speaks 14 words in this issue, counting “uh,” “um,” and “okay.” It’s disappointing to see such a stellar art duo expend their craft on this tepid of a story.